Yet many people are unsure about investing. Stocks or bonds? Gold or real estate? What will the market do? What’s the best balance of risk versus return? Investing means taking risks. But not investing is also risky. When your money will buy less in the future due to inflation, it’s important to put together a good, long-term investment plan. It’s also important to identify your goals. Why invest? For retirement? To leave a legacy to the next generation? Or to grow your portfolio and enjoy the returns? There are opportunities to grow your nest egg in the global stock markets, real estate and the fixed income markets—both government and corporate. Patient, long-term investors have been rewarded over time, despite periodic downturns. Some investors try to predict the future. Others act on impulse, perhaps because they want “a piece of the action.” Or they might bet their savings on tips and hunches. Of course, media hype—whether boom or crash—is hard to resist, either jumping in for a boom or fleeing when a crash is predicted. Some people may want to try investing on their own, either because they enjoy the “thrill of the hunt” and the possible big rewards or because they don’t see value in working with experienced financial professionals. But that’s not the path if you aim for a strong financial future. We know you have a life to live that doesn’t include financial research, analysis of markets or constant monitoring of changes in the global economy. Decades of academic research have recognized traits of expected returns. A carefully balanced portfolio can focus on areas with potentially higher expected returns. The integrated investment process we follow seeks to add value at each step. On their own, Market, Implementation, and Portfolio Structure are each key performance aspects. Market—what is the current state of the market? Implementation—what’s the best way to take advantage of the current market? Portfolio Structure—how do we structure your portfolio to take advantage of market conditions while balancing for long-term goals? 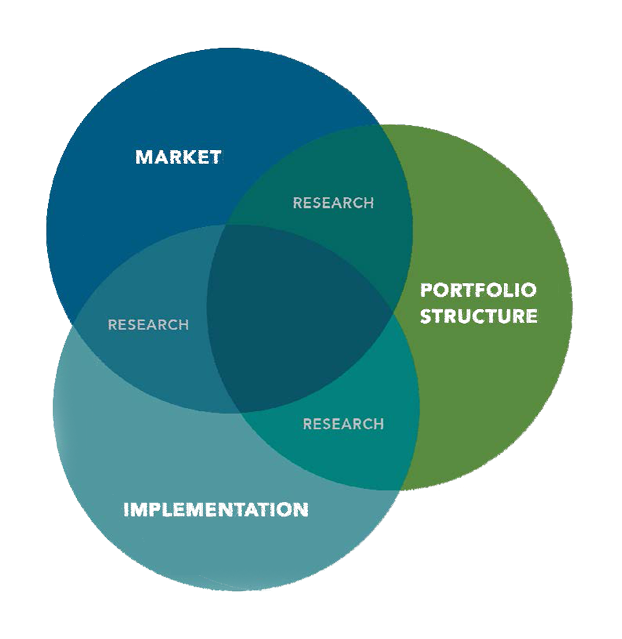 Our integrated formula of the Market + Implementation + Portfolio structure, all supported by research, aims to understand the best ways to deliver long-term performance. There are always tradeoffs when choosing investments. A good manager considers the tradeoffs among risks, costs, and expected return to make the most of long-term performance. Flexible, patient trading adds value over the long-term. That’s why we invest. We will focus on your financial future. We’ll work with you to create a practical investment plan that meets your goals for both the short- and long-term. Learn more about our investment philosophy on the next page. And view the video below to learn how Dimensional Fund Advisors, a resource we’re proud to work with, applies science to investing. When you’re ready to talk about why you want to invest, schedule a no-obligation consultation with one of our financial advisors. We’ll share our approach and discuss how it could fit with your financial goals. Certified Financial Planner Board of Standards Inc. owns these certification marks in the U.S. which it awards to individuals who successfully complete CFP Board's initial and ongoing certification requirements. © Copyright 2018. JGC Wealth Management, LLC. All Rights Reserved. This information is not intended for use without professional advice.